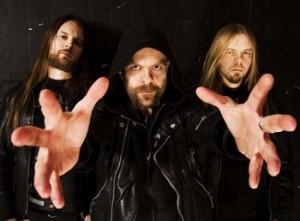 Following the success of their previous album ‘Iron Will’ in 2008, Grand Magus found themselves on a roll. This well received album paved the way for a high profile move for the band to Roadrunner Records and the subsequent release of ‘Hammer of the North’ in 2010. As an album, ‘Hammer…’ continues very much in the same vein laid down during ‘Iron Will’. 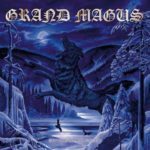 Once more, Grand Magus decided to take a significant step away from the stoner and doom influences that had driven the early career of the band in favour of a more traditional heavy metal sound. This change in sound allowed the band to focus largely upon the Nordic and fantasy themes that had tinged some of their earlier work but would now guide their later albums. Due to this, ‘Hammer…’ can be seen as somewhat of a pivotal album in Grand Magus’ career, one that would allow the band to reinvent themselves fully and provide a critical learning curve for the Swedish three-piece. Grand Magus had an exceptionally positive response to ‘Iron Will’, an extensive tour in support of the aforementioned album alongside a switch in labels which meant that the band suddenly had their work cut out for them and this unfortunately transposes itself onto ‘Hammer…’. This album is not a poor album by any stretch of the imagination, tracks such as the pounding ‘I, The Jury’, the rousing ‘Ravens Guide Our Way’ and the fist-punching rhythms of the title track manage to drag this album home over the line. However, the album is hampered by relatively mediocre filler tracks which only serve one purpose and that is to make up time on the album; the saving grace being that ‘Hammer…’ lasts a little over 45 minutes. However, these mediocre tracks are fully listenable and are still enjoyable, it is just unfortunate that these tracks lack a certain spark and pale in comparison to those already mentioned. Moreover, to overlook these tracks means that some of Grand Magus’ best riffs and indeed some of J.B. Christoffersson finest vocal performances of his career are not observed, particularly during ‘Ravens Guide Our Way’ and ‘I, The Jury. For Grand Magus, ‘Hammer…’ will always be the little brother to ‘Iron Will’, yet this album gave the band something ‘Iron Will’ couldn’t and that is humility. 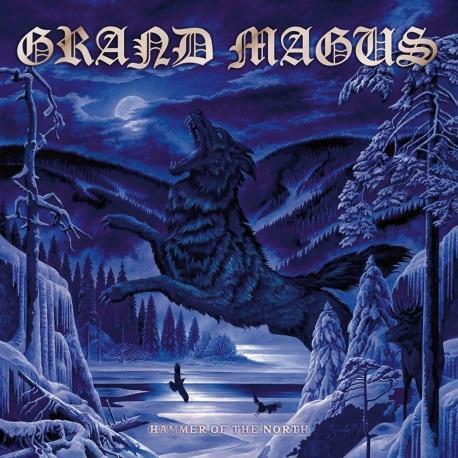 This album allowed the band to keep grounded and whilst it may not be the best example of Grand Magus’ work, but it certainly does not lack any of the bite of their other albums.